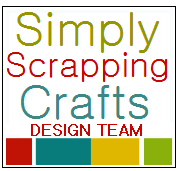 Welcome to Simply Scrapping Crafts First Annual Holiday Hop! We have quite a line-up for you today filled with lots holiday inspired goodies! Our DT has been busy at work in Santa’s workshop creating a sled full of gorgeous holiday projects to help you decorate, scrapbook or use for gifts! Be sure to comment all of the blogs along the way because we have "hidden" some extra special treats along the way. There is no way to tell where we have them stashed, so be sure not to miss out! Some of our hop hosts are giving an extra entry for becoming a follower. Who doesn't appreciate more chances to win right? You have until 11:59PM EST tonight, December 4th, 2010 to comment for your chance to win. All you need to do is click on each link and leave a comment as you hop along to the end of the list. Are you ready for a Holly Jolly Holiday Hop? Let's get to hoppin'! 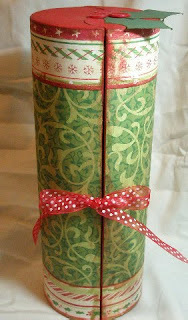 Here is a wonderful way to present any spirits that you may be giving this season....an altered wine carrier. 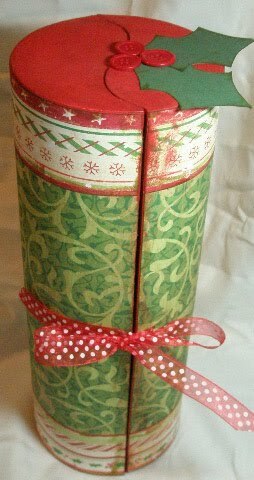 Of course, you can always fill this with some other things too...scrapbook supplies, clothing (anything that can be rolled works super well)....lotions....truly the list is endless. I am currently working on one for my friend Alyssa who just had her very first baby. I got a bottle, a onesie, some baby socks, a nursing blanket thing...I am going to see what else I can stuff in there :) I am decorating it to match her nursery....lavender and black with damask prints and polka dots. She even has her own chandelier....yes, I want to move in...lol! I will share pics of it when I am finished. Now let's get festive and get down to business! Darling wine carrier. I have some of that Christmas paper too. You could put so much in there, where do you get those wine carriers. They look like something that I could use to put my crochet needles and knitting needles in too. Here is my additional comment for already being a follower. 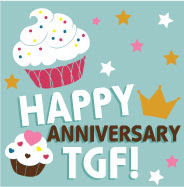 THANKS SO MUCH FOR ALL YOU DO FOR SSC, IT IS SO MUCH FUN! Pryn this is gorgeous!!! I love the idea of the baby gift too!! Thanks for the inspiration!! Very clever - and as you say, if you can roll it, you can put it in! I also think my knitting needles will be happy to live in a lovely little hous like this! Brilliant idea, just need to track down some of those wine carriers in the UK! This is fabulous, Pryn!!! I would love to have a gift of wine decorated all pretty like that. Great idea. Sure wish the earrings would have worked out!! Hugs! Awesome, awesome sista Pryn!! Love this so much! I am already a follower. Thanks for making us feel so welcome at SSC. Beautiful job Pryn! What a great gift idea too! Wow amazing!!! I hat working with circles but you did an amazing job with them. Pryn - I love your project and wondered where you found the carrier to start with? Did you happen to have them or did you buy them somewhere! I think it's a great way to present gifts, especially lotions and shower gels etc. Very FUN!! I'm very happy to be a follower and so happy that I'm slowly making my way through the HOP today! ALL of the projects are WONDERFUL and it's been so fun seeing how creative you all all! I can ONLY WISH I had so much talent! Now following your blog! Cute wine carrier idea...loved it! I love this wine carrier! This is an awesome idea! What a clever idea! Never would have thought to use it for anything other than wine...I'm tellin' ya...my day job really gets in the way of my creativity! What a clever idea, love it!! I am a new follower and can't wait to see what else you have in store, Thanks!! Love your creation. I just became a follower and can't wait to see what else you create. Thanks for sharing your creative talents with us. I just left a comment, but I looked again and I see others have left a second comment for being a follower. So I'm back again. I look forward to seeing other wonderful creations from you wonderful group of talented ladies. Thanks again. Very cleaver - I think it's stunning. Great idea, Pryn! I can see so many uses for this and I love the way you have decorated it! Am already a follower, Pyrn. While I have the chance, let me tell you how much I appreciate you and all you do at SSC! You are the best, GF! I love your wine carrier. It is gorgeous. Great holiday gift idea. What an idea. A great way to reuse Stunning altered project! Thanks for the inspiration. I have become a follower too.! Awesome job on the wine carrier...and I want to move in with the new baby!!! Lucky little girl! Great work! What a beautiful idea for the holidays :) Everytime I think something would be way too difficult for me to do I get great instructions from you ladies. Thank you! I just became one of your followers. Love that wine carrier Pryn! What a great project! You are so super creative and talented, and one of my favorite people in the whole world! Love you sweetie! LOVE this--wonderful project and gift. What a gorgeous gift idea. Thanks for the inspiration. It just goes to show that you don't have to use things for which they were originally intended. Well done. what a wonderful project. I received one like this with scrap supplies in it. It's a great gift and a surprise when it does not hold wine! What a great idea--so clever! Your wine carrier is so pretty and festive! Great job on it! Thanks for sharing your ideas with us today on the hop. I am really enjoying myself and getting lots of inspiration! This project is as sweet as you Pryn.Love it. TFS. I am your new follower now:) cos yours is a lovely Blog, quite inspiring. 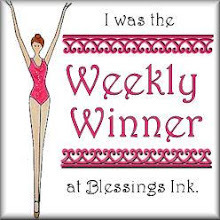 Oops, forgot to say that I just became a follower of your blog! I became a follower today. I like the updated wine carrier. Thanks for sharing! This is an awesome gift idea. I'm already a follower. I just signed up as a followere. 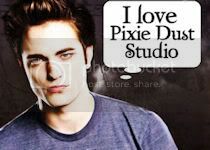 can't wait to see more of your projects. This project is adorable. This is definitely something that I would like to make. 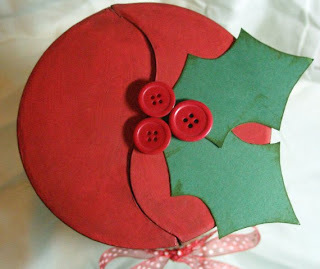 Fabulous project to make and have on hand during the holidays! How creative!! I'm not a wine drinker, so would've never given a thought to buying a wine carrier, but to use it for something like a baby shower gift... very creative! Thanks for the ideas and inspiration! Hey Girlie Girl! I love how you changed up the wine carrier and if I could drink I would drive over and sneak a sip!! I love the holly on the top and the ideas for using it for other items is fantastic! Might have to make one for my brother who now lives in Marietta Georgia and fill it with a terrible towel and Penguin stuff since he is still such a "Burgher" at heart! I hope that you know I am already one of your followers and I spy on you all the time!! Thanks for joining in the Hop, its SO much fun and great to see all the fantastic holiday ideas. Wonderful wine carrier and what a great idea for other gift ideas! I added myself as a follower!! What an awesome gift package! Love the colors you used and thanks for sharing your ideas! I'm a new follower too! This is awesome Pryn! You are so very creative. 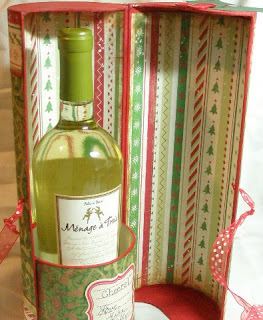 This is such a super cute way to give a bottle of wine as a gift. Thanks for the inspiration! What a clever and welcome gift this wine carrier would be. It's just beautiful. I can see it filled with crafting supplies too. Thanks for sharing your creativity with us. Just became a follower too. I love this Pryn! Wow this is super cute. Where did you get the raw container from? It's so versatile, like you said : ) I want to make a handful now that I see it completed! I missed the hop but had to check out your awesome project idea! THIS IS AWESOME!! Wow, Pryn you really did an amazing job with this wine bottle holder! And I love all the other ideas you have to go with it...I want to see the baby one!! Wow, how pretty is that?! Fabulous creation!